Today Da left for a work trip to Chile. We are very lucky to have the boys Nanny come down to stay with us while he is away. (Thanks Lee) We dropped him off at the airport, then went to maccas, before heading to back to the airport viewing area to watch the planes take off and land. We were hoping to see his plane take off above us, but unfortunately it took off the other way. 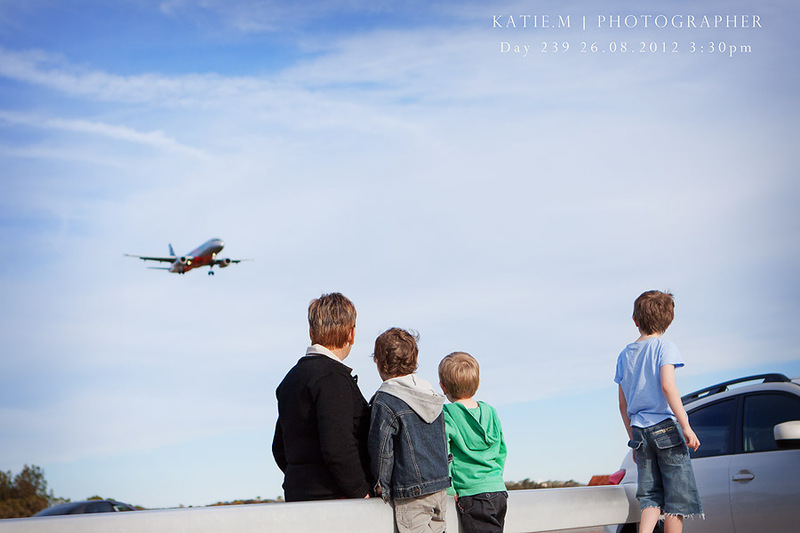 We did get to see a big plane landing which the boys thought was pretty cool.